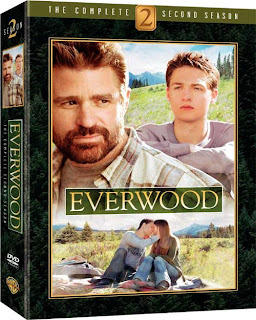 Almost five years after Season 1 of the top-notch series Everwood was released on DVD there is word that Warner Home Video is finally releasing Season 2 of the show (that aired in 2003). It is set for a 6-disc set with all 22 episodes (presented in widescreen) and around 40 minutes of deleted scenes. Amazon has it on for a pre-order price of $25.99 that sounds like a great deal (SRP is $39.98). Hopefully it will sell well enough to prompt the release of Season's 3 and 4 on DVD also. 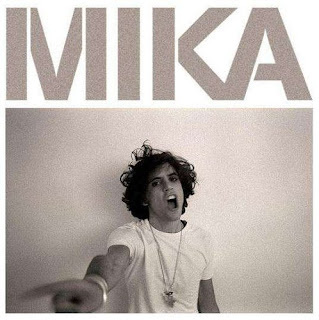 What has Mika been up to recently you ask? He has another week or two of recording the new album in Los Angeles (he's been there on and off recording for 4 months) and is planning an acoustic tour of small venues this summer. He is again working with Canadian Greg Wells on the new album and describes the process as similar to working with Lego. He has been video blogging and editing a mini film/doc to go along with the new release (like Imogen Heap has been) during the recording process and his most recent two vblog's are below. He has worked with the Andrae Crouch Singers and Canadian violinist Owen Pallett (Final Fantasy) on the new cd. You get to hear snippets of some of the new material on the vblogs. Guessing the album will be released late summer or in the fall. Some activity with Naked Eyes as fans eagerly await the release of their new cd "Piccadilly". There are some tour dates for later this summer and you can listen to the title track on YouTube below the tour dates. I haven't commented yet on this season of American Idol (Season 8), for my money the final two should be Kris Allen and Matt Giraud. They have been consistent throughout the competition so far and I enjoy their performances the most. Danny Gokey is also pretty good but I'm not a fan of over the top screecher Adam Lambert. Nice to see that Imogen Heap is finally getting to the stages of marketing and releasing her new solo cd, looking forward to this one a lot. She is looking for fans to help her write her new record company bio and other things, check out here latest 2 vblogs here and here for details. Really looking forward to her revamping her website also which is in dire need of an overhaul. Really enjoying the new Pet Shop Boys album "Yes", the best material they've released in a long time. Also have to say "Love etc." was the best choice for first single, I love playing it in my new car cruising along the highway. EDIT: Just received an email from Amazon Canada saying that the 2 cd version of "Yes" now has a release date of April 14th, so the advantage of the entry below isn't really there anymore unless you don't mind the wait. 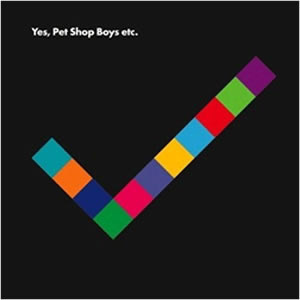 For North American fans of the Pet Shop Boys you may want to investigate ordering the 2 cd limited edition version (or regular version) of their upcoming release "Yes" through Amazon.ca as it is being released in Canada on March 24th (the day after the British release). You may find the advance order price of $15.99 Canadian for the 2 cd set will save you money over the costs involved in ordering a copy from the U.K.. 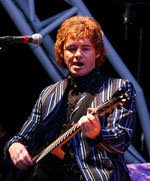 I featured 4 tracks from the "Yes" cd on my new KulPop radio show today. If I continue to do the show I may supply an online link so you can tune in and listen if you want. One of the latest Telus commericals running here in Canada features a cool new electro styled song called "Got Me" by the group "Stars And Crosses" (the jigsaw styled ad, see below). 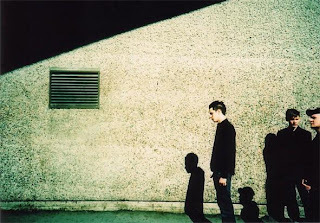 They just put up a MySpace site and you can download the song from CD Baby. 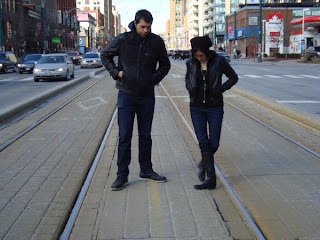 The duo is made up of Clara Klein and Marcus Trulli and are based in Toronto Canada. Check out the commercial below and see what you think. Norway's "Black Room" (synthpop band formerly known as 'Lorraine') have a gig at L.A.'s Viper Room listed on their MySpace page for April 26th, 2009. If I was still living in Vancouver I may have planned a trip down to see them but being on the East coast of Canada now I doubt I will travel that far. This a great chance for fans in North America to see them live. I do hope that their album "Pop Noir" gets released soon. I have never really gotten into the music of Bloc Party. I have read the glowing reviews and hype but I guess I never really sat down and listened an album of their's properly. Last night on N.B.C. 's "Chuck" they used the band's Psapp influenced song "Signs" to good effect near the end of the show (available here for one week). Kudos to Chuck's music supervisor Alex Patsavas who has worked with the shows co-creator Josh Schwartz on an earlier series of his called "The O.C." . Labels: Alex Patsavas, Bloc Party, Chuck, N.B.C.